Elon Musk has reiterated his controversial belief we are living in a simulation. During his controversial appearance on comedian Joe Rogan’s popular podcast, ‘The Joe Rogan Experience, he also explained why he still believes we are living in the Matrix. He said that the sheer age of the universe – 13.8 billion years, means alien civilizations have had time to develop the complex systems needed. ‘If you assume any rate of improvement at all, then games will be indistinguishable from reality, or civilization will end. One of those two things will occur,’ Musk said. ‘Therefore, we are most likely in a simulation, because we exist.’ ‘I think most likely — this is just about probability — there are many, many simulations,’ he added. ‘You might as well call them reality, or you could call them multiverse.’ ‘The ‘substrate’ on which these simulations are running, whatever it may be, is probably quite boring, at least compared to the simulations themselves, Musk said. 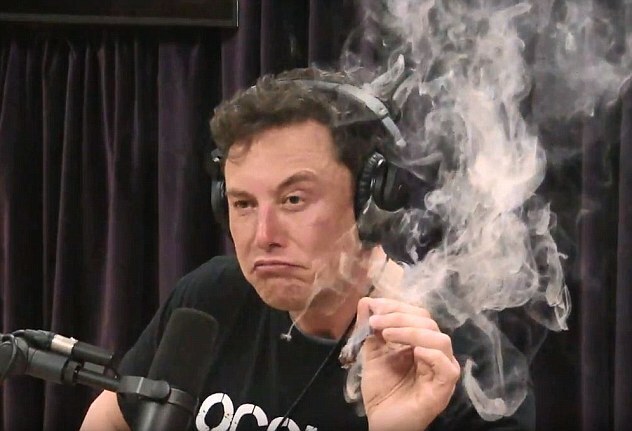 The 2.5 hour long podcast began with Musk and Rogan discussing his dream of solving traffic problems in Los Angeles by building a tunnel underneath the city – a project which he has already embarked on – and artificial intelligence.